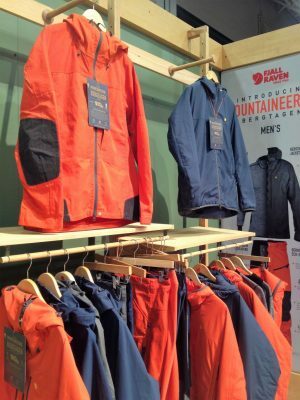 Day 1 of the Winter 2017 Outdoor Retailer Show kicked off with a bang with a rush of media, retailers, and buyers all interested in the newest trends in the outdoor industry. Below are my thoughts on a few of the things I saw at the show. I like stopping by to see what’s new at Big Sky International. 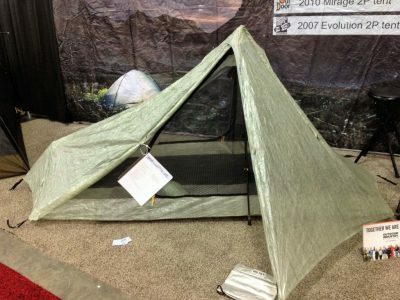 They make lightweight backpacking tents for all seasons. Their newest model is the Wisp 1.5 pictured below that can hold two full size sleeping pads and has two entry doors and two vestibules. Hillsound is debuting new crampons for the adventurer that needs aggressive traction for their winter adventurers. 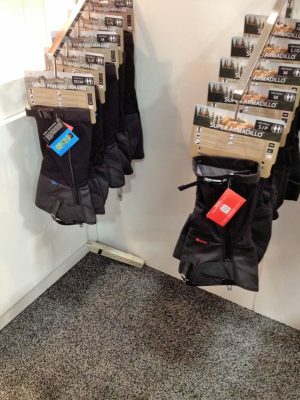 They have also expanded their gaiter line to include Super Armadillo and the Super Armadillo Nano. 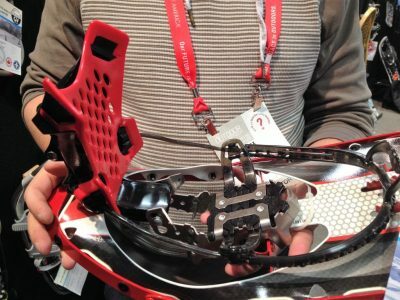 GV Snowshoes has debuted a new binding that looks really awesome and simple. 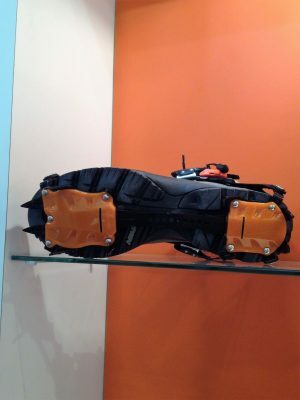 It is called the Alligator binding and can be found on the Mountain Extreme snowshoe as well as some of the other shoes in their lineup. Phunkshun continues to grow with their face mask lineup. 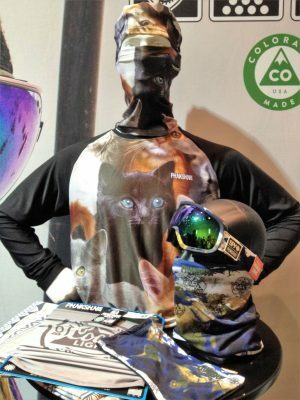 In addition, they debuted a base layer, and have partnered with Spy goggles to create a headband featuring the Phunkshun’s material that is formed from plastic water bottles and all sourced and made in the USA. Fjallraven debuted a new line up of clothing focused on mountaineering. Their line up includes wool base layers, insulation pieces and hardshells. 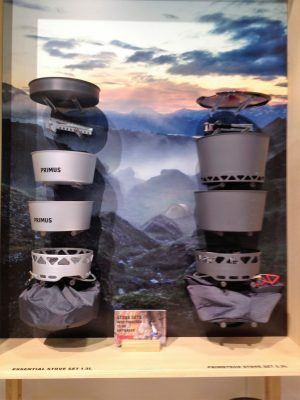 Primus has a new nesting stove system. The picture below shows the two systems. Both of the new systems come in a 1.3 L and and 2.3 L size. 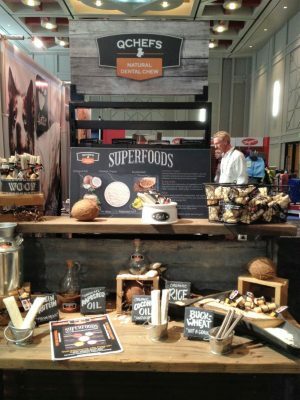 QChef’s a German company is introducing a new lineup of dog chews that use a milk base but take all the lactose out of the products to lessen the potential for dogs to have upset stomachs. 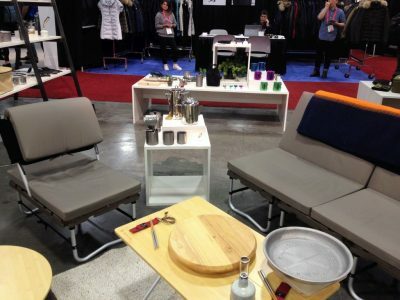 Snowpeak debuted a new line up camp furniture for glamping. The couches and chairs fold flat and are light and most importantly they are comfortable! 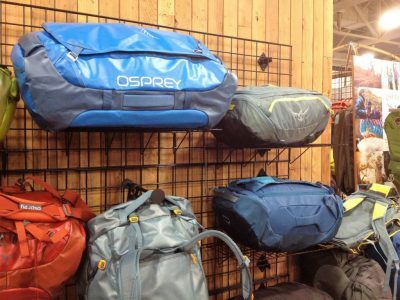 Osprey continues to innovate and debuted a new line up of fully featured duffel bags with tons of organization and bright color ways. Thanks for reading and check back in for more updates from the Winter 2017 Outdoor Retailer Show.